Why are TurtleSkin PPE Gloves better than other cut-resistant gloves? While cut-resistant gloves have been available for many years, they were unable to also provide good puncture protection. Patented TurtleSkin PPE Gloves offer both cut and puncture protection from hazardous objects such as nails, wire, glass fragments, metal shards, wood splinters, and needles. TurtleSkin Gloves combine the protection that you need with the comfort and flexibility that you want. TurtleSkin CP Neon is a lightweight, nimble glove that provides great levels of both cut and puncture protection while keeping the dexterity you need to perform your tasks. Available in three levels of protection. Choose the style that's right for you. TurtleSkin CP White 330 is an affordable glove that provides excellent levels cut and puncture protection without sacrificing your dexterity. Made of a lightweight, breathable knit with elasticated cuff, the TurtleSkin CP 330 White is comfortable to wear in all environments. Suggested Uses: General workwear, glass handling, metal fabrication, lumber handling. 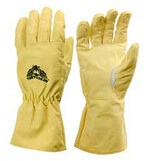 Durable TurtleSkin Utility Gloves provide highest levels of protection in the palm of the hand and fingertips. Particularly well suited for protection from needles and other fine penetrators. TurtleSkin PalmMaster™ material protects high-risk areas. Leather back. 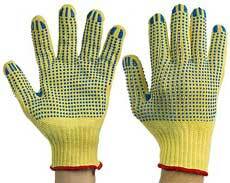 Gloves will soften with wear but will not fail to provide cut and puncture protection. The TurtleSkin Insider is a versatile safety glove that can either be used on its own or worn inside your existing safety gloves to add cut and puncture protection. These cotton gloves can be inserted inside rubber gloves for work in wet environments or worn inside bulkier gloves for added warmth. Suggested Uses: Electronics assembly, light industrial, light waste handling. TurtleSkin WorkWear Gloves are specially designed for tasks that require great grip, dexterity, tactile sensitivity, and superb cut and puncture resistance. These leather work gloves have a stretch-knit backing and a Velcro closure at the wrist for an ultra-comfortable and secure fit. Suggested Uses: Glass or metal handling, mechanics, custodial, janitorial. TurtleSkin FullCoverage gloves are available in two styles that provide whole-hand cut and puncture protection. 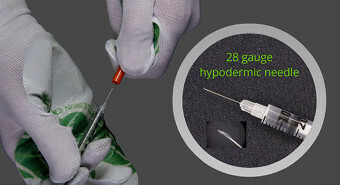 Can also be used as a liner to boost the protection of an outer glove. Suggested Uses: Veterinarian/animal handling, sharps disposal, lab research, lumber/veneer manufacturing. TurtleSkin String Knit Gloves allow you to put extra protection where you often need it most—in the palm of your hand. Get a palm-side layer of blended aramid TurtleSkin in a cotton shell for maximum comfort in light duty applications. Or get a palm-side layer of 100% aramid TurtleSkin in an aramid knit for whole-hand cut resistance and rugged protection. Suggested Uses: Light industrial and anywhere cut protection is required. Perfectly suited for glass handling, sheet metal, plastics fabrication, and general duty, SafeHandler gloves are excellent for any job that requires protection from punctures and cuts. Has excellent durability and grip. Aramid string knit exterior for excellent cut protection. Palm-side TurtleSkin layer for enhanced cut and puncture protection. Gloves may be reversed to orient TurtleSkin on back of hand. Suggested Uses: Glass handling, sheet metal, light industrial, warehousing. The TurtleSkin MultiGuard Glove provides maximum cut and puncture protection with multiple layers of high-strength aramid. Additional layers of patented TurtleSkin multi-coat PM2 increases protection in high risk areas of palm and fingertips, as well as the side and back of hand. Replaceable, water-resistant neoprene outer shell protects from abrasion to extend glove life. Suggested Uses: Waste handling, sharps disposal, wastewater cleanup. TurtleSkin SevereGear Gloves prove that a safety glove can provide outstanding protection without the stiff, bulky seams often found in other brands of protective gloves. 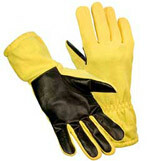 100% aramid glove provides excellent cut protection for the entire hand. Exclusive TurtleSkin PalmMaster adds puncture protection to the palm side of hand and fingers. Suggested Uses: Waste handling, recycling. Rugged TurtleSkin Sleeves contain two layers of TurtleSkin cut- and puncture-resistant materials that provide superior protection in a comfortable-to-wear sleeve. The inner layer of the sleeve is a medium-weight TurtleSkin material that is soft on your skin and tough on needles and other sharp objects. The sleeve's outer layer is a specially coated TurtleSkin material that is tough enough to withstand the harshest environments. Suggested Uses: Lumber handling, sheet metal cutting, food processing, butchering, animal handling.